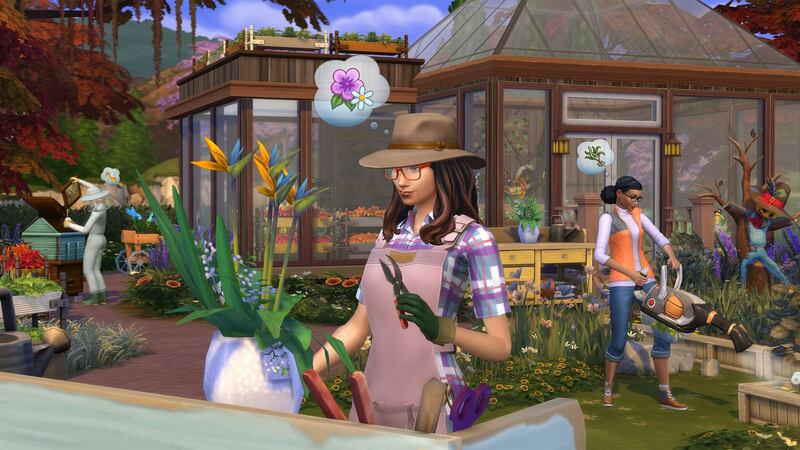 HabboBites Forum - Which Sims season are you? Which Sims season are you? For all you Sims lovers! Which season are you? 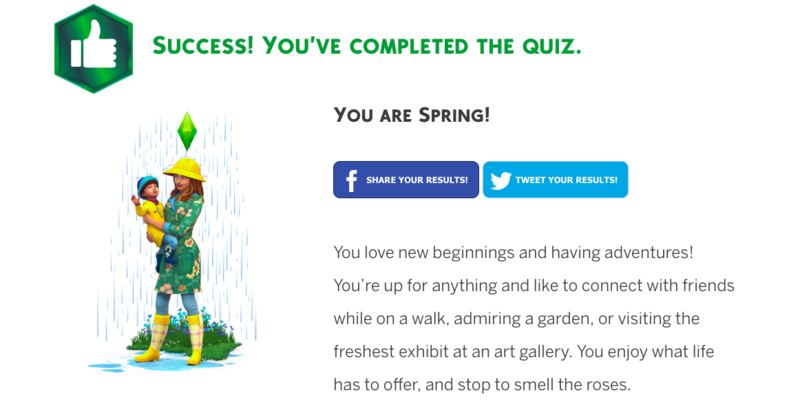 Click here﻿ to take the quiz! __tbl and Kellz likes this post! 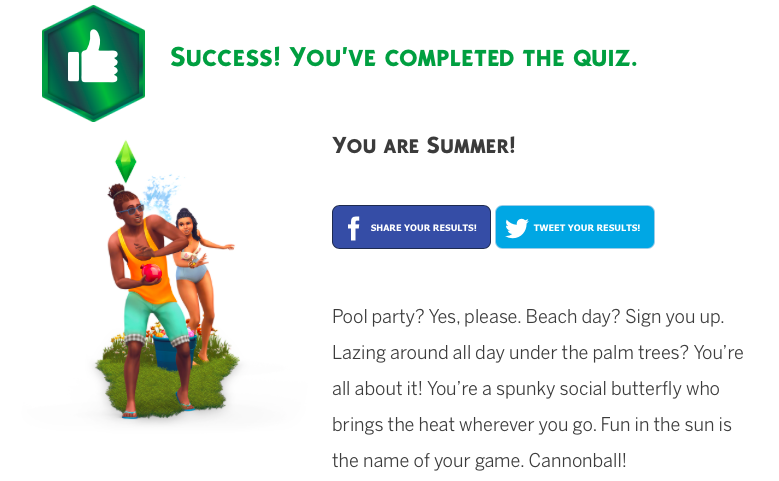 I got summer. I'm very surprised I was hoping to get fall. That's my season thru and thru. But technically I am a summer sign. Born July 2nd well summer in the US anyway. Happiness is being outdoors as the leaves drift to the ground in the cool breeze. At least for you! Surrounding yourself in nature—and cozying up by a warm fire—renews your spirit. You enjoy taking quiet time for yourself, but you’re known for whipping up a delicious meal for friends and family. Is this because I'm Canadian? No because all you do is die in the blizzard. __tbl and Clara likes this post! 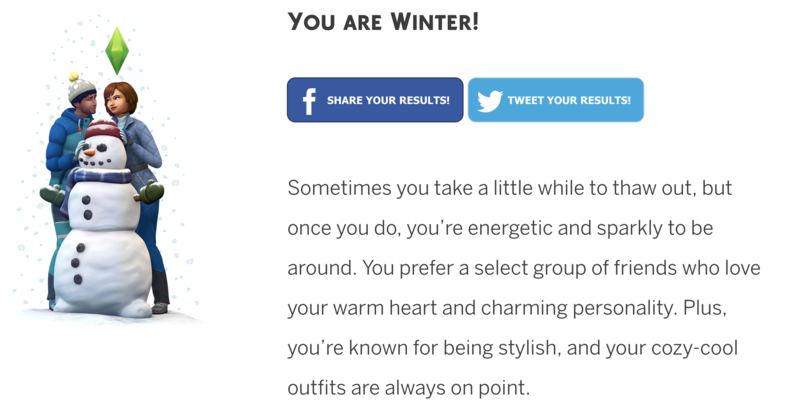 Sometimes you take a little while to thaw out, but once you do, you’re energetic and sparkly to be around. You prefer a select group of friends who love your warm heart and charming personality. Plus, you’re known for being stylish, and your cozy-cool outfits are always on point.